Roofline is a local Sydney Based roofing specialist. We are fully licenced with a dedicated team of experienced, qualified professionals who are customer focused and provide individual attention to your roofing needs. Our highly skilled team are intimately familiar with all of the ins and outs of servicing both commercial and residential roofs. 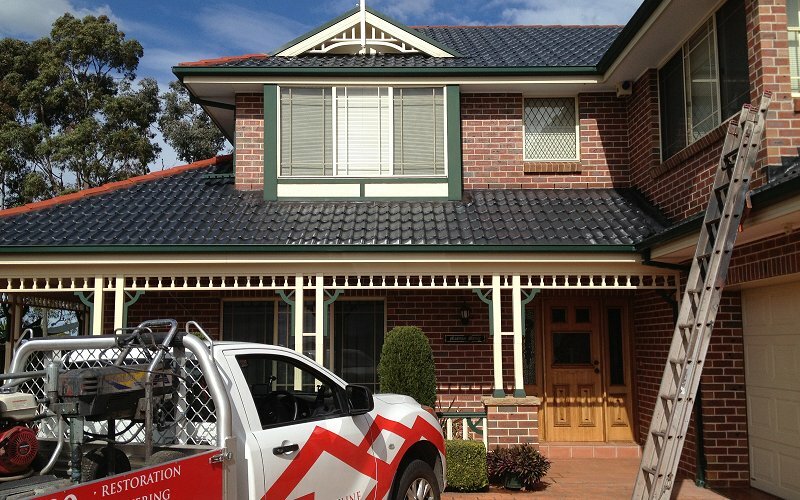 Roofline has been servicing Cherrybrook and the surrounding suburbs of Sydney for more than 20 years. We have a professional team of roof restoration experts who are able to provide you with top quality full roof restoration services in Sydney. We are able to restore all types of roofs such as metal roofs, tiled roofs, terracotta and concrete tiled roofs. If you are looking for a company that is able to provide a comprehensive affordable and honest service, then Rooflines will exceed your expectations. A high-quality roof restoration is an affordable way to reinvigorate and modernise the look of your home, while also serving as preventative maintenance to protect your home from the weather and water damage. Roofs fade over time and painting provides a cost-effective way to lift the appeal of your home without taking the costlier route of a complete restoration. If you are considering selling and wish to avoid the costs of a restoration, painting is a guaranteed way in which you can achieve an affordable fresh facade and add aesthetic value. My roof has metal surfaces (Colorbond®) Can it still be painted? In terms of painting, we can assist with virtually any roofing types, including Colorbond®, concrete tiles and even Terracotta tiles. In fact, we are one of the very few Australian Companies that do specialize in painting terracotta roofs. Roof painting is a meticulous multi-staged procedure that provides numerous long-term aesthetic and integral benefits. If you’re considering having your roof painted and would like to know more, get in touch with one of our team members today, they would be happy to answer any questions you may have. Roofline’s team of roof cleaning experts have many years of industry experience, so you are assured of thorough and neat roof cleaning services. If you need to refresh your roof and give it a good high pressure clean after the season, our teams provide safe and effective services at surprisingly low affordable rates. What are the advantages of high-pressure cleaning? High-pressure cleaning instantly removes moss, lichen, algae and mould that may have built up on your roof and in the gutters. One of the challenges we find with moss is that it can accumulate in the various rain channels on the roof and lead to gutter overflows and poor drainage. The consequence of this is often water running down the walls of the house creating other moisture and damp issues. Gutter and roofing create visual appeal, more than you would expect. Our qualified roof plumbers’ meticulous finishes and professional installations can be seen, and this is what distinguishes and sets us apart from other tradesmen in the industry. Rooflines have over 20 years’ experience in the industry and utilized effective methods to keep your roof and home exterior looking its best. We offer a 10-year written guarantee on materials and to further provide you with quality assurances we offer a 7-year guarantee on our workmanship, all at no extra cost. Our teams have extensive industry experience providing Cherrybrook homeowners with quality value added services such as replacing gutters, downpipes, repairing fascia boards and soffits. Our teams’ core values are evident in our day to day working relationships. We provide you with exceptional quality roof restoration services using the very latest in equipment and technologies to ensure you receive the safest and most effective results for your home and family. Our team is dedicated to roof restoration and care excellence. So, the final question is how can we assist? Give us a call today.